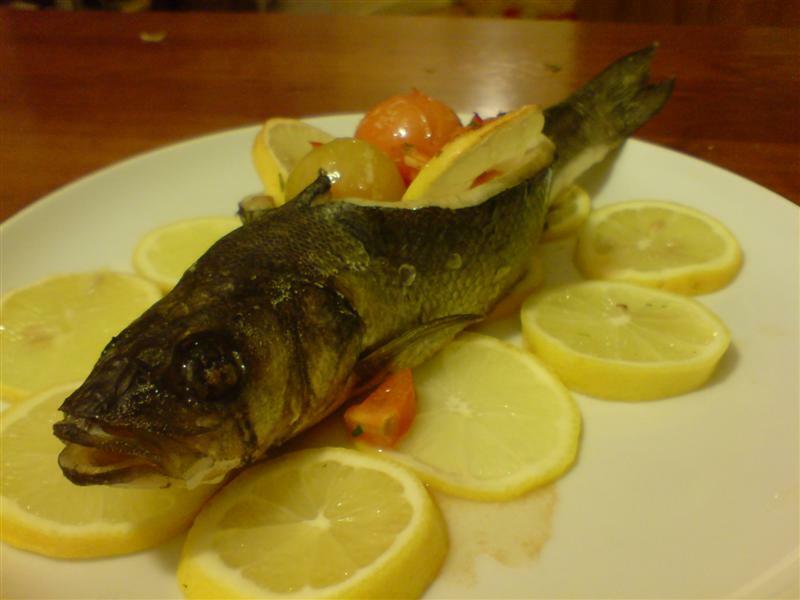 Sea bass on a bed of lemons. Mix together the chopped tomatoes, rosemary, garlic, parsley and a little olive oil. Season with salt and pepper. Stuff the cavity of the fish with this mixture. 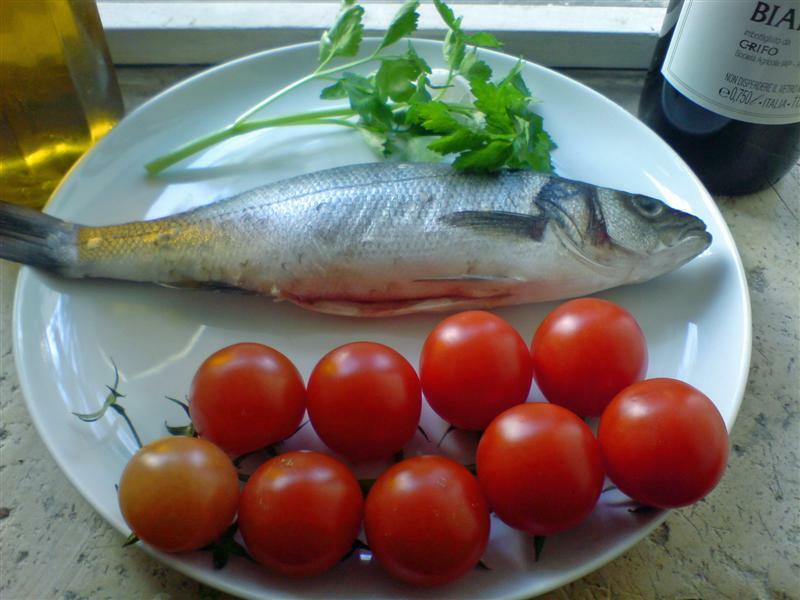 Add two slices of lemon to each fish, one on each side of the cavity. They should look something like the leaves of an open book. 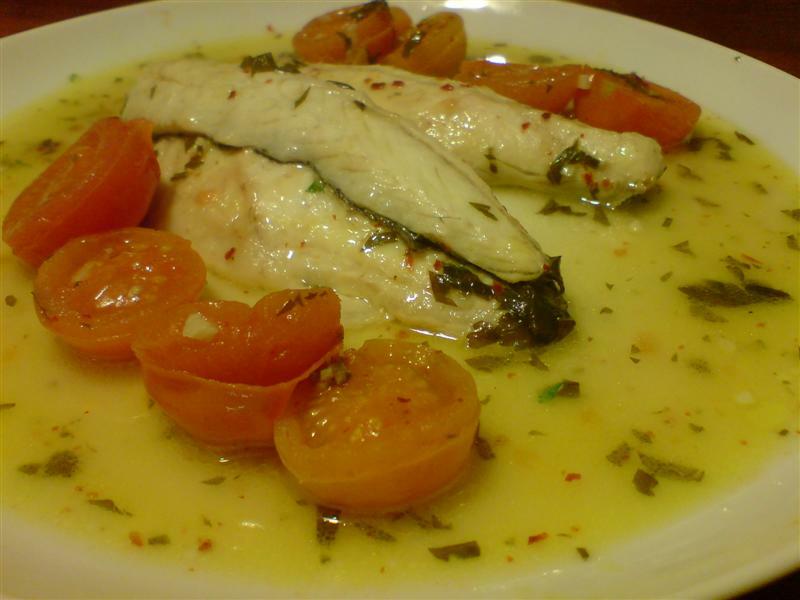 Add two whole cherry tomatoes to each fish and drizzle with a little more oil. Crumple a sheet of aluminium and use this to support the fish and keep them upright while cooking. 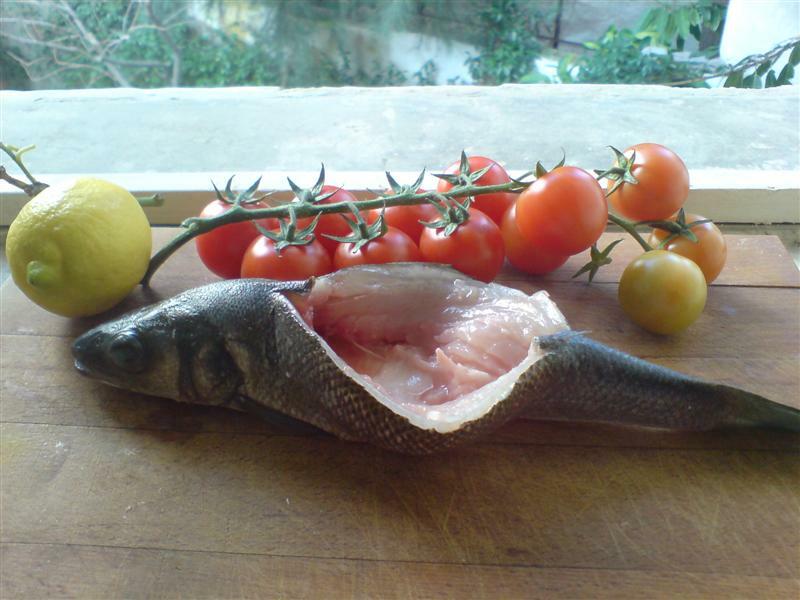 Cover a serving plate with the rest of the lemon slices arrange the cooked fish on top.